During the very recent press event that was about all things Pokémon for Nintendo Switch, the first reveal concerned a game none of us saw coming, Pokémon Quest. 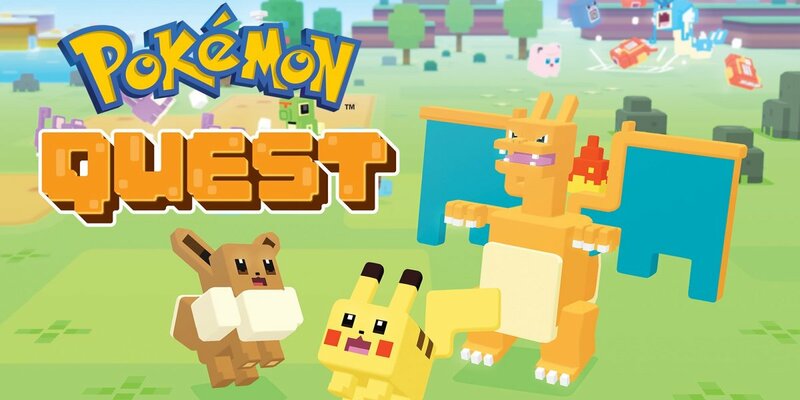 Developed for mobile devices and Switch and featuring a voxel aesthetic, Pokémon Quest is a free to play title that is already available now to download for Switch and if you were worried it would only consist of Gen 1 Pokémon, new details have emerged. According to Pokefans.net, although the game is Kanto only as of now, the code for the game has placeholder spaces for 808 Pokémon. “Wait, 808? Don’t you mean 807?” While it is indeed true that Zeraora is number 807 in the Pokédex, when Pokémon: Let’s Go, Pikachu! and Pokémon: Let’s Go, Eevee! were revealed, it was said that the games would also have a never before seen Pokémon in it. It is possible that this Pokémon would be number 808 and while it is no guarantee that Pokémon Quest will see regular updates that add a new Gen here and there, it does seem the possibility for such a thing is present and that Pokémon Quest could go the Pokémon GO route, if it wants too.